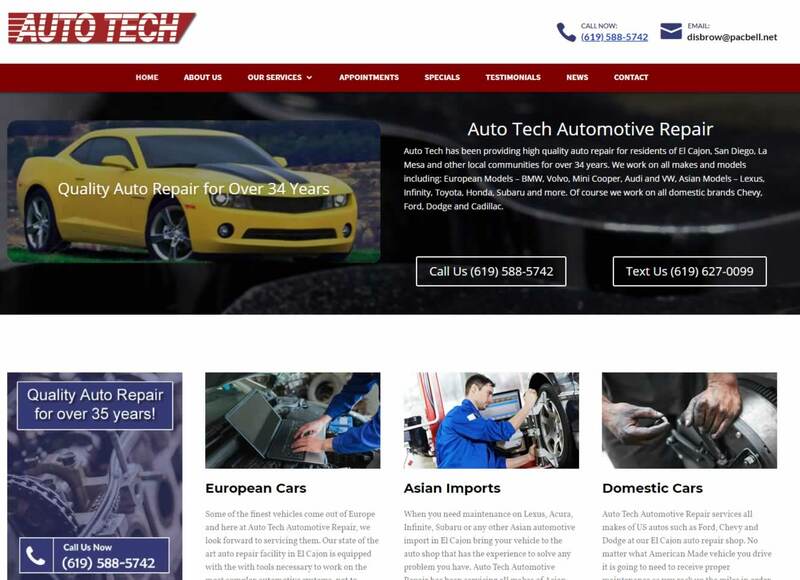 For Auto Tech Automotive Repair in El Cajon, we created a brand new WordPress site using a dedicated pre designed automotive theme template we installed and customized. We provided site wide optimization and integrated an appointment request form as well as Google maps. There are several new 5 Star Video Review Commercials featuring client testimonials and we incorporated thought the site and we also added their 5 star reputation throughout the website using our proprietary reputation marketing platform. We implemented retargeting code on the website allow us to follow prospective clients with retargeting ads. This allows Auto Tech to stay in front of prospective clients. Plus we run Hyper Targeted Ads to attract specific car owners. 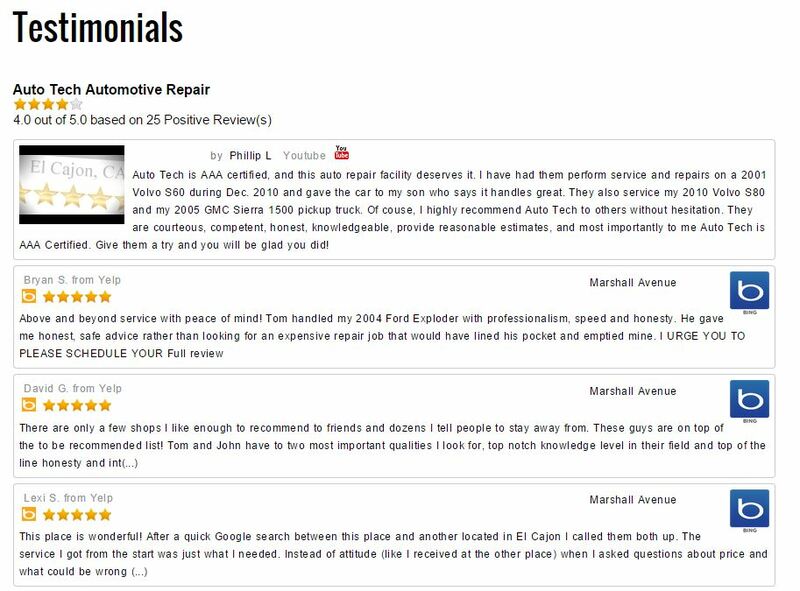 The new Auto Tech Automotive Testimonials and Reviews section shows live online reviews from satisfied customers from all over the web. Plus we highlight a 5 Star Video Review Commercial. These videos build a 70% Trust factor with prospective customers.